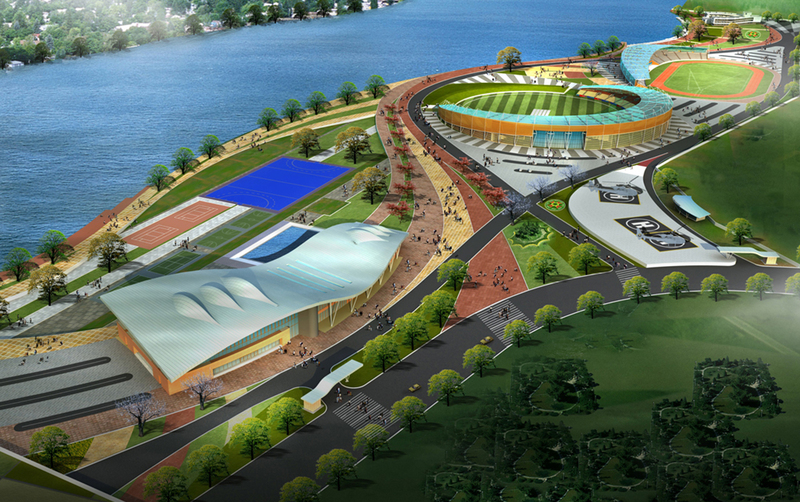 Inspired by the rivers and the natural beauty of the region, the Masterplan has been developed to allow for the individual sporting venues to be aligned along the Gola Riverfront. 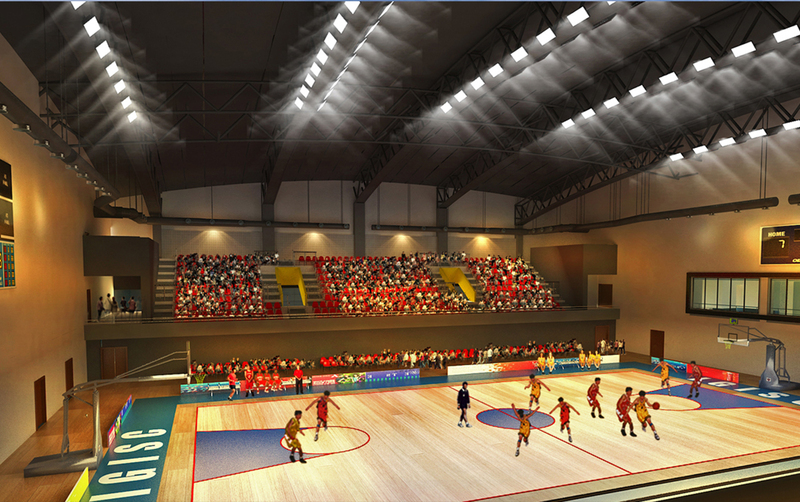 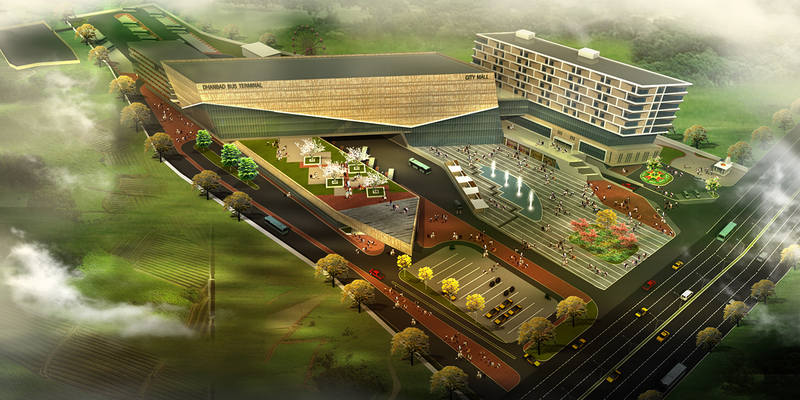 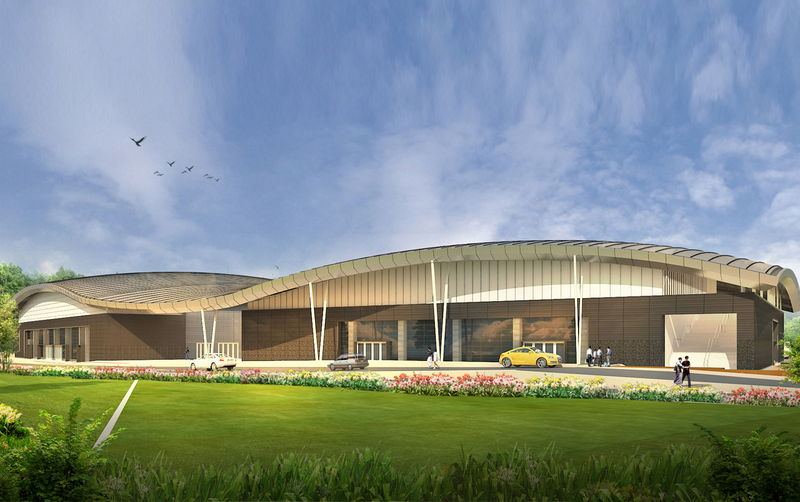 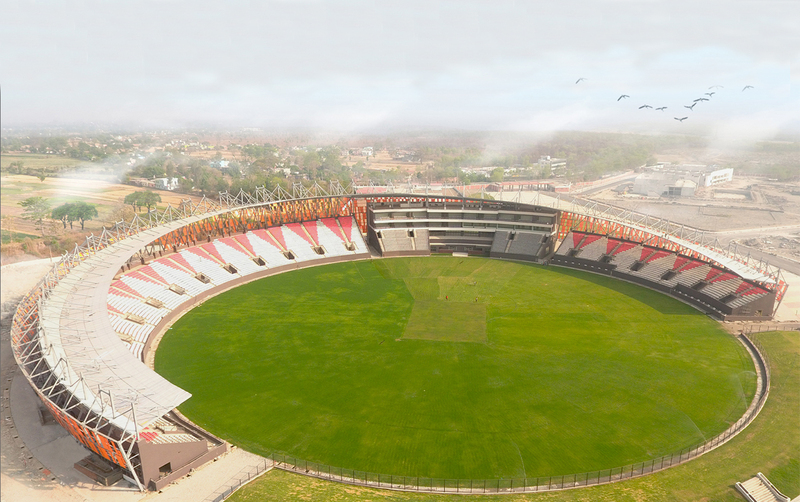 The design of the 72 acre site includes: 10000 seat cricket stadium, 5000 seat Athletic and Football stadium, a 2500 seat indoor sports complex and swimming pool and 15 acres of plazas and public space. 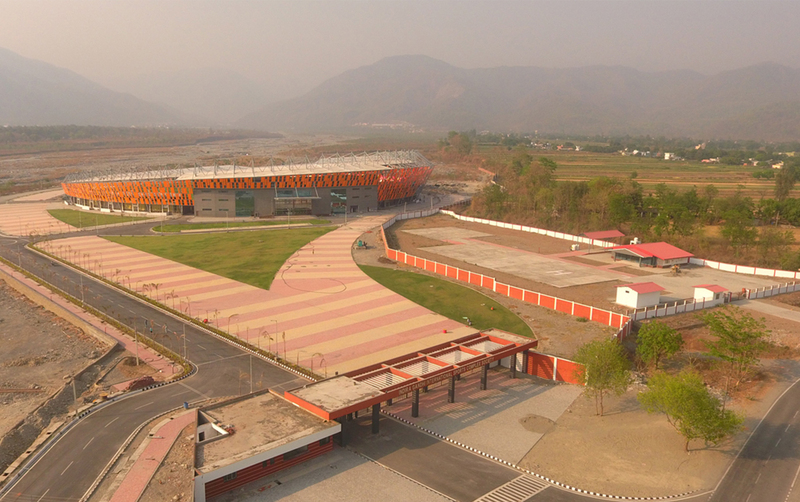 The cricket stadium is oriented for the pavilion and the seating to face towards the picturesque mountains of Nainital and the city of Haldwani. 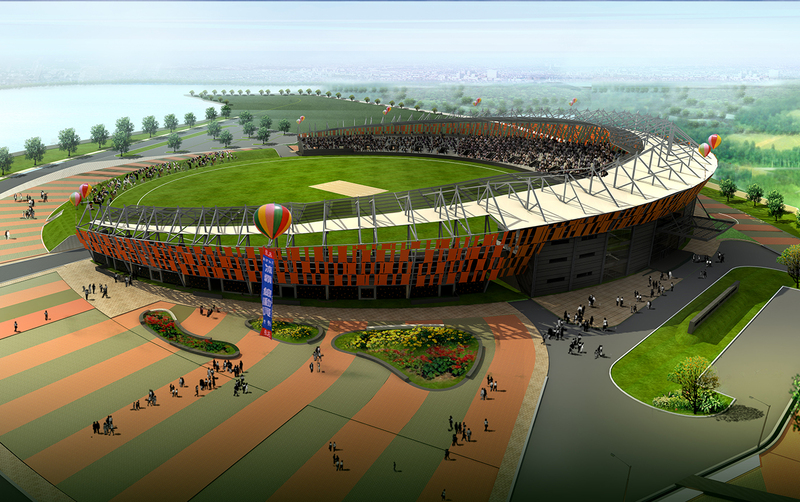 The exterior of the outdoor stadiums has been articulated with a series of colored fabric. 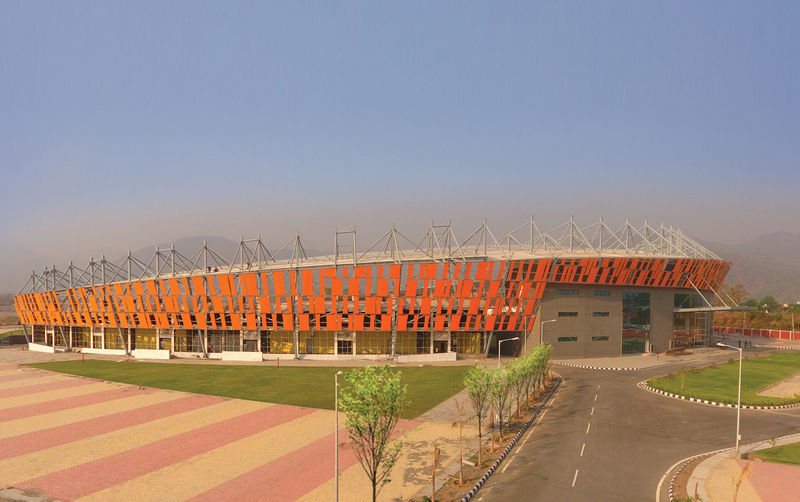 Attached to the structural system for the roof, each panel floats along the whole perimeter of the stadium creating a unique sense of place to this venue.